We are committed to one goal: Treating your business as if it were our own. Rue & Associates, Inc. is an independent accounting and business consulting firm based in Mechanicsville, Virginia near Richmond. Since 1983, our dedicated Certified Public Accountants have helped businesses and individuals in the Richmond area achieve their financial goals through our professional advisory, tax and accounting services. From assurance services to bookkeeping to tax preparation and tax resolution, our experienced tax professionals offer a full suite of services and serve as partner and trusted advisor to our clients. At Rue & Associates, we measure our success by the success of our clients and the lasting relationships we’ve built with business owners and individuals throughout Virginia and across the U.S. We pride ourselves on the personal attention we provide and our commitment to treating each individual client like they’re our only client. 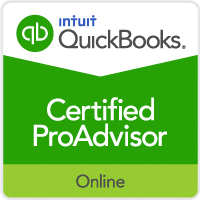 Our experienced team includes tax professionals, accountants, Enrolled Agents, CPAs, and businesspeople, working together to share our insight and expertise with you. Read what the new tax law means for individual taxpayers and small business owners. Our tax experts provide tax preparation & planning services that minimize what you owe in taxes. Rue & Associates offers you the widest range of accounting options in our industry. Outsourcing payroll services provide you with substantial cost savings, confidentiality and security, and confidence that all tax payments and filings are completed on time. If you are searching for tax resolution in Richmond VA, Mechanicsville, or surrounding areas of Virginia, it’s not always easy to know who to call. Rue & Associates has the knowledge and experience to help. Our staff consists of businesspeople just like you, they understand the demands, the successes, and failures in businesses and can offer their advice to help your business thrive. Rue & Associates provides sound financial, management and tax services to Mechanicsville, VA and its surrounding areas. 1983-2019. 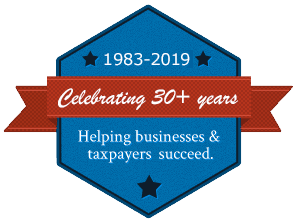 Celebrating over 35 years of helping businesses & taxpayers succeed. We take your dreams seriously. You first went into business with a dream. A dream filled with success, accomplishment and independence. Why should your dream become a nightmare due to the burdens of management, financial and tax constraints? It doesn’t have to be that way. We understand your goals. At Rue and Associates, we were businesspeople first, just like you. But we discovered we were best at the financial and operational aspects of running a business. You can count on Rue & Associates to provide sound financial, management and tax services. The time we save you will give you the energy to make your business even more successful. If you have a vision for your business or personal finances, we have the plan to help you achieve it. The CPAs at Rue & Associates have been trusted advisors to individuals and businesses in the Richmond, Virginia area for over 30 years. Follow your dreams; we‘ll deal with the financial realities.